Welcome to the weblog of the Hawaiian Kingdom presently operating within the occupied State of the Hawaiian Islands. The Hawaiian Kingdom achieved the recognition of its independence as a sovereign State on November 28, 1843 by joint proclamation from Great Britain and France and by 1893, the Hawaiian Kingdom maintained over ninety (90) Legations and Consulates throughout the world. The Hawaiian Kingdom also has been a Member State of the Universal Postal Union since January 1, 1882, which is currently an agency of the United Nations. Since the Spanish-American War, 1898, our country has been under an illegal and prolonged occupation by the United States of America disguised as if the Hawaiian Islands were annexed by a treaty. Justifying the seizure as a military necessity, the United States fortified the Islands as a military outpost which currently number 119 U.S. Army, Marines, Navy and Air force sites that take up 230,622 acres of land, which is 20% of Hawaiian territory. Our web blog will provide up to date information on activities carried out by the acting government of the Hawaiian Kingdom. The primary objective of the acting government of the Hawaiian Kingdom is to expose the occupation of our nation within the framework of the 1907 Hague Convention, IV, the 1949 Geneva Convention, IV, and our domestic statutes, and to provide a foundation for transition and the ultimate end of the occupation of the Hawaiian Kingdom. Article 43 of the 1907 Hague Convention IV mandates that the occupying government, being the United States of America, must administer the laws of the occupied State, being the Hawaiian Kingdom, and any deviation of this mandate is a violation of international law. Presently, the Hawaiian Islands reluctantly serves as the headquarters for the largest of the nine unified military commands of the United States armed forces in the world, U.S. Pacific Command. I was born and raised on Oahu. Would I be considered subject too if I’m off island? Or would I have to be living back home in Hawai’i ? Am using tablet for now so cant download any thing yet but was very happy to find this web site. Did see most of you talks on tv but not lately. Why are they selling lands in Wailuku which were in the adds section of the maui news ? Are the lands where the sugar cane fields were ? To me they are choice lands which belong to the hawaiian people, but we can’t afford to buy. We can’t buy yet others from other places come here with money buy and then make prices go sky high and makes it even harder to buy. Since 1898 to present all land sales has been invalid. Lands in Hawaii has a Defect in Title a person can not sell land. The lands belongs to the Hawaiian Kingdom, people can not own it but has access to use the land your on. The Hawaiian Kingdom must be returned, Hawaii have been Occuppied by the United States far too long. All land titles in Hawaii from January 17, 1893 till today are DEFECTED & INVALID!!! The only true titles are those that were in place prior to January 17, 1893, being Land Grant’s, Royal Patents, Palapala Sila Nui’s and Land Commission Awards. Look up “Hawaiian Kingdom Law 172-11 LAND PATENTS ON LAND COMMISSION AWARDS; TO WHOM, FOR WHOSE BENEFIT”. It will indicate that these lands are to remain in the name of the person to whom the original award was made even if the person is deceased or the title to the real estate has be alienated or transferred to a new owner. All land patents so issued shall inure (life estate) to the benefit of the heirs and assigns of the holder of the original award. This means that even though these lands were stolen and wrongfully sold to developers and private individuals since January 17, 1893, they will need to be returned to the heirs and assigns of the holder of the original award. This is the reason why you have to take out TITLE INSURANCE to obtain the loan on your house and/or property. This is in case there is a defect in your title. Your other option to get your money back is to go after the person you bought it from. As you can see, by illegally overthrowing the Hawaiian Kingdom Government, illegally taking over the Bureau of Conveyance and deeding themselves, and selling lands that were never theirs or never ceded…..the United States of America, the Fake State of Hawaii and many individuals who benefited from this illegal theft and sales are in for a lot of trouble!!! We at LAULIMA TITLE SEARCH & CLAIMS assist people in filing your claim with your lender and Title Insurance Company due to the defect in your title. Because of this defect your Title Insurance Company is required to pay off the balance of your loan. For more information call me Dutchy (808) 325-2008 or Mr. Kale Gumapac (808) 982-9020!!! We’ll be glad to assist you!!! Didn’t Mr. Gumapac make this argument in court but was still forced from his home? The problem was not the argument!!! The problem is the “COURTS” and the fact that they are using the laws of the illegal occupiers including their bogus “1959 Statehood Act” to rule against our clients just as they had done to Kale. The misconception people have is that they continue to think that the courts are legal and because you lost you’re the bad guy when in reality the bad guy is the courts, the judge and the illegal and unlawful laws that they are using to rule against you. We already knew that the courts were going to do this and that is exactly what we wanted them to do because with this evidence of the courts denying our rights to a “fair and regular trial” utilizing Hawaiian Kingdom Law…..under International Law and the Geneva Convention this is a WAR CRIME!!! Now instead of the judges simply ruling as they please….there are consequences for their decisions and their illegal and unlawful orders. Because the entire State of Hawaii government is illegal so too are their courts and their rulings. In due time we will win this battle too! It’s wonderful to see how Dr. Sai’s research and passing on of crucial information has enlivened the spirit and momentum in us to take back what is ours–using the thieves own words in their own documentation and procedures to do so. Brother Gumapac has suffered loss, yet continues to stay the course, helping others in the process. I applaud you, and will refer people to you. By reading the above post, I see that Dutchy has partnered with you. We can do more together than we can do alone. One day your loss will result in reward, while your opponents will realize their demise. True justice is swift, and it’s on its way. It is time to start getting back and reclaiming our tutus lands,we need to start doing are geniologies finding out who we are and where we from what part of the aina,fine your tutus name in the mahele do the 3 steps on avakonohiki web site order the royal patent ,file your claim and occupy. stand your grounds and we will be victories by the grase of akua. I have been preaching this to all I meet. You give it clarity. Please keep sharing this truth. In addition, we asked the police to, (actually we told them), that it is not their jurisdiction to remove us, rather it is for the court to decide and being that we had the PalaSilaNui and LCAw as well as recorded it into the their bogus system, they could not tell which was more legit. So now we stay on our aina and the buyer took us to court, but police no bother us no more. We will use everything on this website (That is permitted I presume, I should not presume, Is that permitted, to use this info in our court case and evidence?) and all else that Akua sends to us to be victorious in this case. No lawyer yet, as recommended by the Federal Magistrate.With this web info, I don’t think we need one. Lack of Jurisdiction, Illegal Occupation, Kingdom Law, Hawaiian National status all of it. We will prevail because it is true, right, pure, and good. They buyers will get the judgement to claim Title Insurance or seek the Realtor to refund their “investment”. So many of these homes are empty and transient rentals, no one is losing their living space. For those that are, I am sure there will be just compensation and/or ways for all to be able to transition with as little disruption as possible. Mahalo Keanu and all for being courageous. Please protect yourselves and may Akua, na aumakua, and all on earth constantly surround and protect you and yours for any and all harm, strengthen you and continue to give you ike papalua, me ke Aloha. Keanu,still don’t see anything on ICC WEBSITE regarding Hawaii? Now that the Hawaiian Kingdom is a party to the 1949 Geneva Convention, IV and has properly accended to the ICC Rome Statute how do we change the controlling laws currently being implemented by the occupying U.S. and its State of Hawaii? Manifest error in law is clearly evident based upon the 1893 executive contracts entered into between the Hawaiian Kingdom and the United States of America and for the fact that there is no treaty of cession, yet the U.S. and State of Hawaii will not afford us protection based upon their egregious error. Do we need an order from an international court stating that the U.S. is in fact occupying Hawaiian Territory so the U.S. has a mandate to follow? It seems as though the U.S. can’t figure out what they did wrong, they need to be told and guided as to what they need to do. I think, change the controlling laws now in effect and the lands will follow! On a personal level, and as a Kanaka Aupuni; a Hawaiian National; born and raised on moku Oahu in the early forties and prior to statehood I have as of several years ago become a citizen of the Lawful Hawaiian Government and re-patriated or reaffirmed my natural citizenship. I have stopped paying taxes to both the state and to the u.s. govenment; the defacto government and have continued my self determination as a Kanaka Aupuni. I support my government locally and pay a monthy obligation to support it. I also lend myself to it’s events and to it’s governance. I was assaulted by the Hawaii County Police department on 11/8/11 in my self determination and requested that my government be the first “hearing” of my behavior and the first judge. Not a person or department of the state, county, legislative branch, oha, alcu, fbi, doj, governor, mayor or church came to my aid even when I called 911 at the event to have a supervisior attend before the violence. The u.s. govenment and state legislature has many methods of patronization…hhl, oha, included. They pat themselves on the back and create legislation and such like the latest Act 195 and such, which act intends the assurance of “self determination” for the Hawaiian. They know that the Hawaiian doesn’t need and never has required recognition or foreign determination ever by outsiders and they do it anyway for themselves. Let the Hawaiian ask for them to step up and act on their intentions and the response is silence. In a local meeting of OHA after I disclosed my condition…what I got from the OHA representatives there…sitting at a podium above the Ohana giving testimony, was a hand shake. I expect nothing else. I have been in the fight since the seventies and will continue. Ku`e!! Do what is pono and leave the outcome to akua. Is there any doubt remaining as to what is the nation of my koho? There never was a choice for me; not in the past and not now. Ku`e!! How do I go about gaining citizenship of the Hawaiian kingdom? What are the steps? I have hawaiian blood and have been born in hawaii. You got the Koko, Hawaiian Blood that automatically make you Hawaiian Kingdom Subject or Citizen. The next step is Education of the Whole Reality of What’s Happening Now! You’ll be able to support your Nation after that! Just need to Arm yourself and Ohana with the True History. Everything else with fall into place! Malama Pono! I would like info on all matters to share with people here in Washington State. Are there more sites or more links you can suggest for me to dig deeper in? The only sites that are providing truthful and factual information is “Free Hawaii TV” with Ehu Caldwell, “laulimatitle.com” with Kale Gumapac and “hawaiiankingdom.org” with Dr. Keanu Sai. The person who is the leading expert with a PhD in United States Constitution Law, International Law, Hawaiian Kingdom Law, Hawaii Political History, Land Titles and moving everything in the right direction is Dr. Keanu Sai!!! That say’s it all!!! QUESTION; Why did Kauikeaouli choose to give up his rights under the Declaration of Rights? Did it have more to do with becoming a christian or did he feel it necessary in order to be recognized as a “nation” in the modern world? Recently heard about Micah Kane & Larry sumida requesting & having a meeting with KAMEHAMEHA VI..
A KS trustee and the land developer for DHHL at the table with the Allodium owner… Do they recognize Kamehameha VI? Know something everyone else doesn’t? I wonder how the conversation went! I wish to be more active in what Dr. Sai is doing. There are many vocal people out there who hate Dr. Sai. Many of my friends had been with Keanu since the mid 1990’s. I was hooked up with other people. I was taught at a young age the the enemy of my enemy is my friend. Dr. Sai is on the right track but the train he is driving must be an electric train because it is quiet and no one can hear it coming only those who are aware of its presence will be able to get on board. Those who can’t hear the train coming will miss it altogether. I would hate to miss Dr. Sai’s train cause I couldn’t hear it coming. I am a farmer and I live in poverty. I don’t make enough to breath, let alone feed my children but I would never prostitute myself for the sake of the almighty dollar or to entertain the military and tourist or those foreign national dignitaries who couldn’t give a rip about me. Mahalo nui Dr. Sai and all the others who are making progress and a difference. I believe I will see independence and justice in my lifetime. I’ve heard people criticize Dr. Sai, as well. Yet, these same people,as it turns out, criticize Hawaiians and our efforts to end the U.S. occupation a.,k.a. sovereignty movement. I think they are both fearful and confused. Fearful, because they know Dr. Sai is right, which would most likely mean a loss of profit/possession for them for they would have to return the land, residential/commercial back to its rightful owner. Confused, because they believe that we have to reclaim, rebuild or fight for our sovereignty, when our sovereignty has always and still exists today. We do have to reclaim, rebuild and fight, yet not for our sovereignty, but to reinstate the lifestyle, traditions and laws that once were Hawaii, then move forward from there. Tokumana, I commend you, Mahi’ai, your kamali’i are truly hoa’aina then. aohe mea nana e ku’ai. Nothing here that you see is for sale. Well said and few realize that this is what is being done, but learning and keep the art alive is good. Cherish the rich blessings of each day, be joy. Relief is on the way. I’m working on understanding the right path for myself and my family. I’ve heard Dr. Sai’s discussion and i am so grateful for all the work he has done to showcase how the Hawaiian Kingdom was illegally overthrown and deserve to be back in controlling power. When i saw the call for the Hawaiian Roll Call – i thought that this was a sign up join other hawaiians on how we would re-create a hawaiian kingdom. So of course i signed up, along with my 2 keiki. But i’m starting to hear more oposition ot the hawaiian roll call from people who actually support Dr. Sai’s effort. Can someone explain how i’m hurting Dr. Sai’s efforts by signing up on the Hawaiian Roll Call? Our Queen and our kupuna who signed the Ku’e Petition said NO we do not want to be a part of the United States. Because the State of Hawaii government is illegal so, too is OHA and Kana’iolowalu. So, in reality by signing up with the so, called Hawaiian Roll you are in reality going against our Queen and our kupuna by sayings YES I want to be a part of this organization that is under the control of he illegal occupiers being the united State of America and their Fake State of Hawaii. REMOVE YOUR NAME & TELL YOUR OHANA TO DO THE SAME!!! Mahalo Dutchy for that. I never knew that they were 2 completely opposite efforts. it’s like i gotta choose sides, except this time – get good hawaiian stuff on both sides. I love Dr. Sai’s thoughts and approach on how to right the wrongs of the overthrow, but i also like the leadership and Hawaiian cultural conviction of Kamana’opono of OHA. Mahalo Dutchy for telling it straight – i gotta choose now. If I may say, I wouldn’t choose sides. In fact don’t pick a side. There’s no need to pick sides. This is all what is legally true and what is not. The wisest thing to do is to get educated about Hawaii’s legal and political history, which is what Dr. Sai has been presenting and more knowledge is coming out! The key factors when it comes to this information is this: Use your brain and not your emotions, be wise on what you do and say, ask the right questions, be careful who and what to trust, and you are encouraged to find out yourself of what Dr. Sai is presenting. HawaiianKingdomGovernment.org is a good place to start. The videos on the site are a good choice as well! What Dr. Kamana’opono Crabbe wrote to Sec. of State John F. Kerry comes on the heels of Russia’s illegal annexation of Crimea, I wonder was it a coincidence or perfect timing? Echoes of what America did to our Hawai’i not withstanding, how is the USA going to respond truthfully to Kamana’o and na Kanaka Moali? Can the US (the pot) respond at all considering the fact that they would be calling Putin’s kettle black?? Last night in Hilo, I was so proud of the Hawaiians who spoke with one voice in telling the fake corporate u.s. government, “A’OLE!! !” We are collectively disgusted by their pretense, we do not accept their phony apologies, and the only way we will have a meaningful dialogue with them prior to even considering a relationship with them as one sovereign nation with another, is if they take drastic and necessary rectification measures that are more than a century overdue. My brothers and sisters, aunties and uncles and revered kupuna giving testimony provided an example for the tyrants to follow. We spoke with eloquence and grace, full of wisdom and insight. We displayed our courage by boldly speaking out against our aggressors, simply by placing the truth before them to do with what they will. They are the criminals. They are the ones guilty of crimes against our people. They are the ones facing charges before international courts and agencies of war crimes against our people. We did them a favor by showing up to their meeting. They offer only lip service. We offer solutions. Our understanding of who we are, what they are and what we would no longer accept, nor tolerate shone through. We accomplished one thing last night that has crippled us in our fight for independence from our oppressor–we unified. I am also grateful for those who were not Hawaiian, speaking in solidarity with us against their own countrymen. They did so at the risk of jeers from some of us, but they did so out of love for our people. I appreciate that. foundational knowledge of the Hawaiian Kingdom. Aloha, my brother has started his own business and doesnʻt want to continue to support the U.S. by paying their taxes and wishes to support the Hawaiian Kingdom. How/can he go about doing this? In one of Dr. Keanu Sais video, one of the jail inmates at the womens correctional facilities wanted to be charged by the Hawaiian Kingdom Law. How can we find those laws, or any laws if we were charged by State of Hawaiʻi instead of Hawaiian Kingdom? Aloha, 4 years ago my husband was sent back to Germany after 7 years Married in Hawaii. US said he can’t come back for 10 years so I moved to Germany leaving my Ohanas and Aina behind. 3 yrs later I learned the language and got a job. I have my Hawaiian Kingdom card but it’s expierd. Now my question is,..If and When I can get back home with my huaband, would we need a Hawaiian Kingdom Visa to come back home or can I use my US passport? Aloha Bobbi, If by the time you decide to come home and the occupation has ended I would contact the HK gov’t for an answer to your question. If you come back while the occupation is still ongoing use your US passport because it works. Aloha christina, are you asking for a HK Driver License and plates because you have already formulated a plan and end game, so you want to get tickets and go to court? If not than use the State’s one because it keeps you out of court and paying a bunch of fines if things don’t work out. The guys issuing those HK stuff will not be able to represent you in court, you are on your own. I have witnessed way more horror stories than victories. These courts are illegal and won’t give you a fair trial so don’t expect one. We are occupied so do what you gotta do to survive the occupation until it ends. I don’t know what island you are on but If you still want that stuff than just ask the next person you see running those plates. I’m sure they could point you in that direction. Good luck. We live on Hawaiian Homeland since 2007, the first thing they had made us pay was the $99 for the property tax for 99 years. Today May 28, 2015 we receive a Property Tax Bill for the year of 2013 and 2014. How can that Be? and if it ends where we have to pay it, I would rather pay it to the Hawaiian Kingdom. Can this be done? They are giving us 30 days to take care of this matter. OMG! did I my concerns on the wrong blog?? Aloha Mary, I don’t have enough information from what you posted but it sounds like the $99.00 was for the land and any additional charges would be for improvements to the land or buildings on the land. What ever the case, it would be easier to pay and try to recoupe to monies later. This is an occupation and you gotta do what is necessary to survive. When it is time to pay HK taxes you will be notified but until then you gotta do what is necessary to survive the occupation. The better strategy would be to pay under protest and then make your argument. This way, they got paid and cannot terminate your lease or hit you with penalties. Not legal advice, just manao. puppet below the the State of Hawaii who in turn is below the U.S. government! All three entities have no lawful authority in Hawaiian Kingdom jurisdiction! Who has a na kuleana o na kanaka 1/3 interest in all Ko Hawai’i Pae Aina? Shouldn’t the property taxes be paid to whom it’s owed to? Just saying! tangible solutions currently available, relief will come by documentation! taken by Second Circuit Judge Cardoza in the Moloka’i fisherman’s case. the unlawful activities implemented by the U.S. in Hawaiian jurisdiction. 2018 hosting of the World Cup games, don’t look like they’re going to get it! the U.S., where was it made? Ha, in China! Why worry about Hawaii the U.S.
is already crippled by China. Stop Chinese imports and Americans will stress! If not made in China, perhaps made in Mexico! Right on. Perfect example of selective corruption investigations. Ironically U.S. went bust and did not qualify for the 2018 World Cup. Which is perfect karma. I would like to immigrate to the Kingdom if Hawaii as soon as possible. The only meaningful and true work I’ve done for the past 25 years is in sovereign nations of the indigenous people of the Salish Sea area also known as the Northwest of the U.S. I support and look forward to seeing in my lifetime the retreat and dissolving of the illegal and false claims of the U.S. government and State of Hawaii on the ancestral lands of the native peoples if these islands. We need a court… A government would b nice but still corruptible. But yes.. A Kingdom of Hawaii Court System..but all this requires $$$.. Which none of us probably have. A judge..is needed..etc. Do we have a Hawaiian Kingdom office? Where is it located? What is its structure/system? Is there a government in place? Pls get back to me. Maybe I’ve missed it but I’ve been waiting to get Dr. Sai’s comments on the DOI’s proposal of self governance and the delegates to represent the Hawaiian Kingdom at the constitutional convention. How does this help or hinder all the progress that has been made internationally on the occupation? Hello there, I am a visitor from Switzerland and read about the Hawaiian history. I feel bad about it and try to find a way for myself how to deal with what happened to the Hawaiian people. I fully understand that you want your independence back. But what I don’t understand is, why do you want to “go back” to the Kingdom. As far as I understand the Kingdom of Hawaii was formed AFTER the Brits and French arrived. 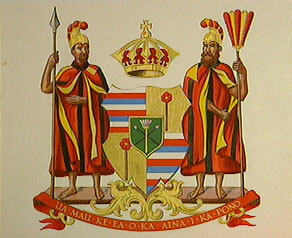 To unify the different islands and to become the Hawaiian Kingdom was driven by the Brits. So, would you really get your independence back if you would become a Kingdom again? On one hand side, I feel guilty about what Europa and the US (also Europeans taking control over the natives) did to you. On the other handy it is so beautiful here and I like visiting the islands. So how should I behave, what can I do to support you? Would appreciate your comments. First of all, welcome to Hawaii! The best and wisest thing to do is to study Hawaii’s legal and political history, which is all right here and you can also go to HawaiianKingdom.org, where everything is there too. Aloha Petulia, as you put it …”why do you want to “go back” to the Kingdom.” We/you don’t have to go back to the Kingdom we are in the Hawaiian Kingdom but it is occupied by the United States. Restoring the Hawaiian Kingdom (HK) does not mean we go back to 1893 we will retake control and operate in the present. You have a misconception that the Brits and French some how was in control of the Hawaiian Kingdom. Iolani and Kekoa, thank you for your additional information. That is very helfpul! Have a great time! Aloha Bradford, I hope you want those license plates or diver’s license only as a conversation piece or a decoration. If you intend to actually use them to replace them I would highly recommend you get a written contract with the seller. Stipulate that if the use of said license plates and/or drivers license results in any legal action against your person than the seller along with the entity he/she represents shall be responsible for all costs related in defending said action. This is to include attorney’s fees, loss of wages, travel costs, court fees and fines. It should also stipulate that any party breaching the contract shall be responsible for all attorney’s fees and court costs associated with the enforcement of said contract. I have seen first hand the harsh legal and financial penalties levied by the occupiers courts on those using these license plates and driver licenses. There have been only a few instances where the courts dismissed charges on technicalities or procedure. Never have I seen or heard the occupiers courts rule that because the Hawaiian Kingdom exists the court lacks jurisdiction and therefore the charges are dismissed. If anyone says otherwise ask them to provide the court’s order, minutes and video for that case. I doubt very much they have such proof. Caveat emptor, Let the buyer beware. You’re onto something. Instead of holding Seller responsible for the unlawful acts of the oppressor, the Seller should draft a disclosure doc explaining the risks. In that way, the Seller is protected from displaced punishment and the Buyer of the license/plates can make an informed decision whether to promote the liberation of Hawaii in that manner or in another way. The outlets selling the plates do provide assistanc already, should the oppressor target and harass tBuyers. And like mentioned in the comment above are successful at times, and at times not. Would I be able to become a citizen of the Hawaiian Kingdom and be able to attain my Drivers License and License Plate? My ancestors, The Aipoalani’s were part of the Hawaiian Kingdom Sovernty..
By all due respect, please advise me if this is possible and what I need to do to make this happen. What documentation would I need? Your kind and respectablec onsideration is hereby requested. Donald Trump seems like a man who listens to facts and is awake to globalist oppression. I think he is invested in the principle of sovereignty of a people. Will you make a strong case to the president and please don’t underestimate him. My Ohana support the Hawaiian Kingdom Government with out a doubt. My concern is the education that my children are receiving at this present time are false learning habits that I don’t want them to continue to receive. I believe here on the island of Molokai we have Hawaiian Immersion Programs, but are intertwined with the false texts provided by the Department of Education. I don’t want them to learn false documentation and have it instilled in their learning criteria.After listening to your videos and learning the history of Hawaii I feel I am in the wrong to hold my kids in this present education system. My question to you is would it be wise to remove my children from these false teachings and we educate them fully on the History of Hawaii, their genealogy, their cultural language and the truth about the Kingdom of Hawaii that you have been presenting for all of us? Aloha, i am very interested to learn more about our rights as indiginious Hawaiian kingdom people. And why is it we still need to abide under u.s. laws when everyone says we are not the u.s…. Since the majority of Hawaiians will be financially ruined by renouncing U.S. citizenship, the current path toward independence is seriously flawed and needlessly harmful. Even the ancient Alii understood and embraced capitalism. As a group we could use our money wisely to buy Hotels and other institutions which would more quickly bring this sought-after destiny to the Hawaiian Nation. Virgil, haven’t learned anything from this blog. You can’t renounce a citizenship that the U.S. had no right to give you. Read the Geneva Conventions and Humanitarian Law. It states that annexation and change of citizenship is prohibited during occupation. To top it off about your idea of buying real estate. Since an occupation exists and the office of notaries and head of the bureau of conveyance are illegitimate, then title to real property becomes defective, no lawful transfer of title can happen. Thank you Kekoa, your statement of facts is accurate. It also validates my original post. Millions of people born in Hawaii have been fraudulently assigned as U.S. citizens. All transactions in the Hawaiian Islands paid for with U.S. dollars are illegal. Inheritance in Hawaii, by those who obtained land or wealth through the system of governance of the United States of America, is not valid. We know this. As surely as the chaos which will wash over these islands if these ideals are enforced, will be unacceptable even to those who may righteously benefit. I think we should teach wealth-building techniques as the best path towards control over this wrongful situation. Virgil, not all transactions paid for in U.S. dollars are illegal. The U.S. dollar was one form of currency that was accepted as legal tender in the Hawaiian Kingdom. I have no objections to wealth building, in fact I encourage it. Although I would suggest to have another option available then U.S. dollars just in case. Chaos need not happen during de-occupation. In fact the occupier has the legal obligation for a smooth transition. The U.S. can either do it the easy way or make it hard on themselves and crash their dollar but we will be just fine. We are not liable for the U.S. debt and we decide on our own currency. We are not subject to the Jones Act so direct trade will bring down the cost of living. We also get an instant increase in our income by 33% because we will not be required to pay U.S. federal income taxes. Pursuant to the Kuleana Act all aboriginal Hawaiians can receive a FREE 1/4 Acre of Land in fee simple anywhere in the Hawaiian Islands so that is instant wealth right there. Like I always said, occupation ends when International pressure is added to the equation and/or the financial burden to sustain the occupation is to great. When we control our own country we control the wealth and resources. Fee Simple? My understanding is: All of the lands in the Hawaiian Kingdom is for the use of its Citizens as Leasehold, not to be sold as Fee Simple. Is this not Correct? Good of you to respond with such focus. Thank you, Kekoa. We agree on my main issue here, Wealth-building. If Hawaiians can gain control of financially lucrative entities such as Hotels and shopping centers, no matter who claims to be the real Landlord, then we will see a shift towards righteous dominance of Hawaiian people. An easy way to buy these entities is to form a group of Hawaiian investors who knows each dollar can be given either to the goal, or the things robbing us from that same goal. Just remember, control begins at home. We can achieve anything we want, but that also means the desires which harm us. * “no matter who claims to be the real Landlord”? * “An easy way to buy these entities is to form a group of Hawaiian investors”? Isn’t this what is already being done to us by the illegal occupier and the Fake State of Hawaii through their theft of our lands no matter who the real landlord is and how investors (Hawaiian or not) are developing, selling and buying these entities that are on someone else s lands. Hey Dutchy, Kehaulani, it was nice to bump into you at Hilo’s hub, although i had to run before we could talk story. I agree that we shouldn’t shift one exploiter for another. I love how people make it sound so easy, as if we never considered these things already. The problem is, Virgil, that the mobster oppressor entity actively wages war on the people. It’s very difficult as a Kanaka to exercise our human rights when the oppressor disregards people and the law, including its own “law” for the sake of profit. The oppressor still continues to perpetuate the fraud, theft, treason and breach of intl treaties first perpetrated over 200 years ago in Hawaii pae aina. For example, if an American corporation decides that a certain lot of land is ideal for its envisioned hotel, timeshare, some sort of profiteering structure and that same land was awarded by the king as Royal patent land to the Kanaka family that has been living on it for 7 generations, the police will arrest the family for tresspassing, bulldoze their home and confiscate their belongings. If others speak out or stand up for the family, the police, prosecutor courts will collude in arresting. prosecuting and finding them guilty of the crime comitted against them. There are obstacles and we are working toward liberation from the oppressor so that we are free to live and thrive. Together we will and are closer than ever. Thanks, though, for your true concern. True!!! It happened at Ukumehame. Kaleleiki were called squatters for living on their Kuleana that the oppressors sold out from under them. Bank paid people to dress up as Sheriffs and led by Patrick Sniffen, held him and his sister to the side at gun point while they packed up their things, pulled out their 40 foot container, and tore down their house. When Kaleleiki went to get the sheriff record of this event, there was nothing on record. Wow, KNikapolei, that’s the family i was referring to in my post. And, yes, it halpens far too often. On Hawaii Island, we are gathering people together who’ e experienced atrocitie, i.e.-unlawful displacement from home, removal of children from Kanaka homes to be raised ny violent or drug addicted or foreigners, etx and taking collective action. Call me: 430-9835 for more details. Aloha Virgil, Short term investing with quick roll over would be better in light of what is about to happen with long term real estate investment in Hawaii. Large real estate purchases at today’s inflated market would only profit the seller and leave the buyer with the liability of a defective title to deal with in the near future. Believe me, if not addressed correctly it will become a problem. There will be a solution to the problem but why put yourself into that position. I find it interesting that the holders of large real estate in Hawaii (Big Five) began divesting themselves of their real estate holdings when the Larsen vs. Hawaiian Kingdom case at the PCA started. Kekoa, I’ve noticed that too……Mahalo!!! I liked your idea about using our own currency, and have discussed steps with other indigenous nations ambassadors on how to achieve such an endeavor. The jury is still out, thiugh, on employing exploiter tactics. Recently, i was involved with a multi-million dollar project by First Nations Citizenry, for First Nations Citizenry. Our people would benefit healthwise and community-wise, while increasing our economic standing. There would also be a shift on reliance upon a local monopoly to the monopoly’s reliance upon Kanaka. With this particular venture, the homesteaders would participate in the decision-making process, benefitting monetarily and environmentally first, the rest of our Kanaka population secondly, then the remaining people on-island. The project was halted when the Native lender noticed discrepancies in the credit association’s accounting. It turns out, the Dept of Interior was unlawfully siphoning money. The lender had to make necessary adjustments, which won’t be elaborated upon bere. When adjustments are complete, we will resume. Always roadblocks for us to detour around. There are legitimate and lucrative ways to build our economy. The exploiter will stand in our way, yet we will overcome. Why is Bishop Estate ok to buy and sell using the Title companies which you say are giving a cloudy titled deed? Please share the short term investment ideas. Do you think a Hawaiian based group-investment style has merit? Thank you for your feedback. I can’t speak for Bishop Estate, you need to ask them , but like everyone else they will have to defend themselves if they injured someone. Perhaps U.S. dollars were accepted while the Kingdom Treasury tendered all monies flowing through the islands, but if the United States Treasury, as an illegal representative of the U.S. in Hawaii, has controlled all the funds generated here, and printed a fiat currency to enforce the ideals of colonialism, U.S. dollar transactions have been and will be illegal by law. Just my opinion, I am not an expert on this. At this time I don’t think it is illegal because the HK accepted it as legal tender prior to the occupation. Since the laws of occupation state that the occupier must administer the laws of the occupied it’s safe to say it remains legal. It could change if a du jure HK gov’t changes this policy in the future. Hopefully the future HK gov’t will restore it’s own currency that has intrinsic value and choose the same for it’s holding in one of the world reserve currencies. I stand in admiration, love and support of the of the Hawaiian people. The legal reasoning presented on your site is so compelling that it inspires questions about what could happen in a future with the end of occupation. First, on a personal note, my son, daughter in law and granddaughter are all Hawaii born but non-Hawaiian. I would be interested to know what the status would be for people like them who are now living in Hawaii. Secondly and most important: I wonder about the vulnerability of the Hawaiian Kingdom to military aggression by other nations. Likewise, my daughter and son were born in Hawai’i as well. It would depend, as I understand it, of their desire to become citizens of the Hawaiian Kingdom, and to initiate the paperwork under Hawaiian Kingdom law to be recognized as citizens. A work in process for all in such a situation. if you were born in the kingdom you are a citizen of the H.I. by default. But you also get the benefits of dual citizenship for now. Or costs, depending on your situation. TITLE I- OF LAWS. Chapter 2. section 6. Mr. Larson says he can not pay the U.S. fine because that would be treason? So all the Hawaiians who did comply with U.S. courts are guilty of treason. Kekoa looks like you are going to have to educate this person by the name of Virgil Davis again and again and again…..
Dutchy, Steve Laudig’s remark explains why I won’t. To question Larsen’s statement of Treason is just a deflection to the occupation. The U.S. refusing to comply with the Laws of occupation is the true original cause of action. Occupation is the cause of Larsen’s unfair trial and why the International Commission of inquiry will be conducting fact finding very soon. They deal with international issues not license plates and fines. Virgil and people like him are not on this site to be educated they are here to distract and deflect. I liken it to a tree that is about to be cut down. It will distract you by getting you to believe you got to remove all the leaves first. Nah man don’t be distracted. Assess the tree, you may have to remove some limbs so that when you cut the trunk it falls exactly where you want it without damaging anything else. Stay focused and cut it down. You can explain things to other people. But, you cannot understand them for other people. Sure looks like you have a personal problem. And there are are people like you who only want to see what you want to see. So by all means remain blind to the…..TRUTH!!! Oh and by the way don’t get all bent out of shape if no one responds to your trolling comments because we have far more important things to do. Aloha!!! “…don’t get all bent out of shape if no one responds to your trolling comments because we have far more important things to do… ” thank you for responding. My post is about Treason. This was the charge Laid against our Queen by her cabinet, also the charge which will be Laid against Dr. Sai;s Kingdom, when Hawaiians rise against his movement , robbing the majority of all they have gained in the past 125 years. Wow Bruddah, It is unbelievable how the Truth gets someones underwear up in their crotch. Bottom Line: Now that u know the Truth, You can and will be held responsible! Treason is what its called! Good Luck, You’re going to need it! And as far as Virgil Davis: This is not a thing about Dr. Sai and nor is this only his Kingdom. You either need to get with it or get Out. Because now that you know the Truth about our Hawaiian Kingdom you will be held Responsible for your actions from here Forward! Virgil Davis, was my “all bent out of shape” comment directed at you or at someone else s comment. Seriously open your eyes and look!!! Sure looks like you have a personal problem so do us a favor by keeping it personal. I bet you can’t and you won’t!!! Oh and in case you haven’t noticed a majority of the people on this blog support Dr. Keanu Sai and his awesome research that appears to bother you without you doing your own dissertation to prove him wrong instead of trying to take pot shots like a whining cry baby. You stated: “When Hawaiians rise against his movement” well I don’t know what rock you’ve been hiding under for the past 30 years, but Dr. Sai and his research is the very reason why our people have risen against the illegal occupation of our islands. It is clear that you are nothing more than a troll and supporter of the illegal occupier and as such you should be worrying about your own acts of Treason and not anyone else s. Once again I bet you can’t and you won’t……Pua Ting U!!! Is there something going on in kauai, for hawaii independence day? In 2017. How we can get da sovereignty license plate? It is Our “Hawaiian Kingdom”. Sorry, not Kingdom of Hawaiian Nation! Can I apply for subjecthood while Hawaii is still occupied? Will the subjecthood be valid at the time of reinstatement? Mahalo. Aloha Matthew, pursuant to Humanitarian law during armed conflicts and/or belligerent occupation the answer to your question is no. The same Law also prohibits any change to the status of a Hawaiian Subject’s nationality. Hope this helps. ?Aloha from Mahealani from Vleuten The Netherlands? A REAL ‘HAWAIIAN AT HEART’ ? Aloha All, I have read each and every reply thus far, everyone of you have exceptional knowledge and understanding of what has transpired from as far back as 1843, Dr. Keanu Sai is definitely a force to be reckoned with concerning our history and the value of the International Court, Leon Siu has also contributed to how far we have become as far as the Hawaiian Kingdom, Sir Bumpy Kanahele, Minister Henry Noa and many, many others have contributed to where we are today. I assure you, that our generation is the generation that will see our rightful and lawful Hawaiian Kingdom returned to us. I said all these names to say this, ” none of us are an island unto ourselves, we need to come together for the common good of all of us, no matter what, it’s not about a group , or an individual person representing us, it’s about all of us, Kanaka or any other race willing to stand with us, to fight this fight together instead of in- fighting on who gets to be the “boss”. This, togetherness, will unite all of us to be ready for getting back, not taking back, getting back what was and is rightfully ours, by the grace of God himself. So, all of us need to recognize that some of us plant, others of us water, BUT it is God who gives us the increase..The increase of getting what was and is rightfully ours. Keep the faith and NEVER give up. Together we shall see this come to fruition. I cannot prove native Hawaiian ancestry, but I do see at least 2 ancestors on the naturalized subject list. How can I become an official subject myself? And may I receive a license/license plate?